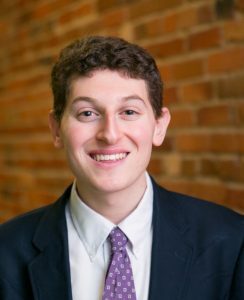 Tyler Goldberger is a junior at Duke University from Raleigh, North Carolina studying History, Spanish, and Jewish Studies. Thanks to all of the incredible opportunities at Duke, Tyler has traveled more than he ever thought was possible. Because of this, he has been challenged to ask questions that have allowed me to delve into the world of humanities research. Spending a semester in Madrid encouraged Tyler to confront Spain on its negligence of recognizing the victims of the Spanish Civil War and how this impacts culture and memory in today’s Spain. Tyler is looking forward to continuing these curiosities through spending my summer doing research into Spain’s historical memory practices. When not investigating really interesting historical topics, Tyler loves to run and explore new areas. He is also an avid reader with a sweet tooth. In his research project, Tyler will work directly as a research analyst with a social movement in Madrid, Spain, Asociación para la Recuperación de la Memoria Histórica. Asociación’s mission is to uncover Spain’s (in)ability to adequately recognize three major human rights atrocities in history. There currently exist few monuments that actively commemorate the hundreds of thousands of deaths during the Spanish Civil War, which has moved Tyler to study the impacts of these memorials, as well as the lack of memorials, in and around Spanish culture. Tyler plans to continue focusing in on Spain through its recognition, or lack thereof, of its own past, the Holocaust and Argentinian Dirty War, human atrocities that have impacted the field of historical memory drastically. While Spain did not directly involve itself in World War II, it has recognized its passive culpability in permitting the murder of so many innocent people in the Holocaust while adjusting to the Franco regime. Directly following the end of Franquismo, the Argentinian Dirty War began and subsequently took the lives of 30,000 disappeared victims. Both of these human rights atrocities occurred in fundamental times in Spanish history. Tyler hopes his work will help to challenge the country to open its eyes to the pain and suffering that still find a place in today’s society.